Please come visit and join us in fellowship! A small group of believers in Houston, Texas meet together for the first time in the home of Sister Effie Wickman. The Primitive Baptist Church of Houston is constituted with an arm from Providence PBC of Farmersville, TX and 23 charter members. The PBC of Houston agrees to purchase property at 2138 Ojeman Rd. in Houston, Texas. This would be the meeting place of the church for the next 30 years. The PBC of Houston votes to change its name to Spring Grove Primitive Baptist Church. Spring Grove PBC, a church of the Trumpet order of Primitive Baptists, votes to change its Church Covenant to drop the "Trumpet" requirement for fellowship. This effectively eliminates any bars to fellowship between Spring Grove PBC and those churches of the Peace order of Primitive Baptists. Spring Grove PBC is devastated by Hurricane Alicia when 2 large trees fall on the meetinghouse, causing many thousands of dollars worth of damage. The church decides to rebuild. Spring Grove PBC votes to merge with Gulf Coast PBC. The newly consituted Harmony PBC meets at the meetinghouse on Ojeman Rd. Harmony PBC votes to rescind the merger between Gulf Coast PBC and Spring Grove PBC and revert back to the 2 churches as before. 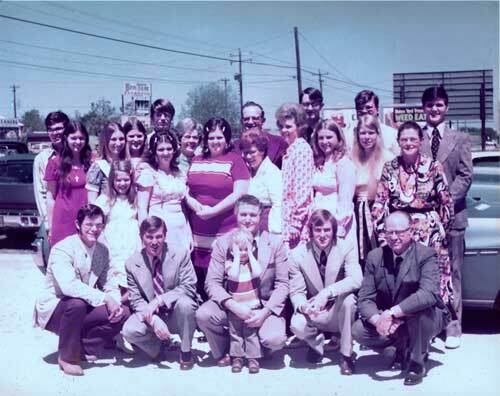 This was done mainly because of the great distance involved between the former members of the Gulf Coast PBC and the location of the church on Ojeman Rd. and because a suitable central location for a new meeting place could not be located. The 2 churches remain in full fellowship with each other. Spring Grove PBC meets for the last time at 2138 Ojeman Rd. The building was sold to an adjacent business because the church was unable to afford the much-needed repairs on the building and because the church felt the location was no longer desirable and safe. The church was blessed to use the property of Ephesus PBC at 1306 Cordell St. in Houston, Texas. Spring Grove PBC meets for the first time at its current location at 14002 Alice Rd. in Tomball, Texas. Over the years, Spring Grove Primitive Baptist Church has been the home of more than 80 Old Baptists, has had 6 Pastors, has overseen the ordination of 6 deacons, and has met in 4 permanent and semi-permanent facilities.